I believe in revenue and profits for startups. 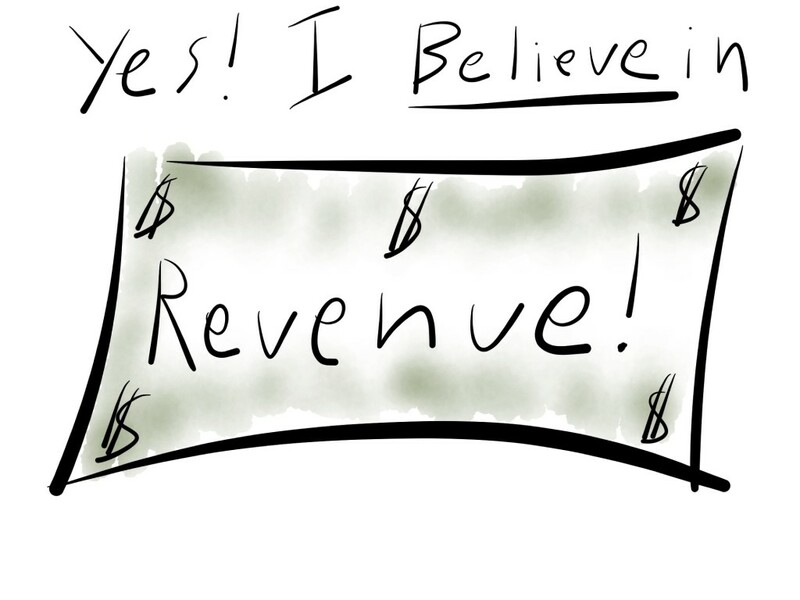 Revenue is not a vanity metric. Growth does not equal revenue. Revenue is good for customers. Recurring revenue is the best revenue. Revenue is a signal that can be tested. Revenue is addictive and that’s a strength. Real businesses solve customer problems for profit. A startup without a revenue source is a ponzi scheme. If a business isn’t taking your money you are being taken. If you want to control your own destiny, you need revenue. No revenue = out of business soon with disappointed customers. Sign below or share this article if you agree.